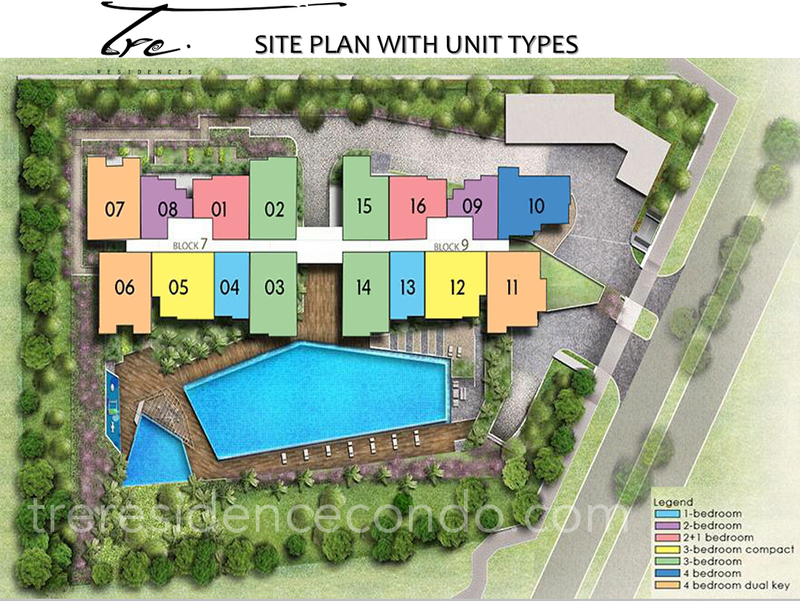 The TRE Residences site plan is a simple but functional one. Just 2 17-storey blocks side by side, north-south facing to minimise sun exposure, with pools and communal facilities at the landscaped deck level, and sky terraces and patios at intermediate levels, with sky links between the 2 towers, and basement carparks. 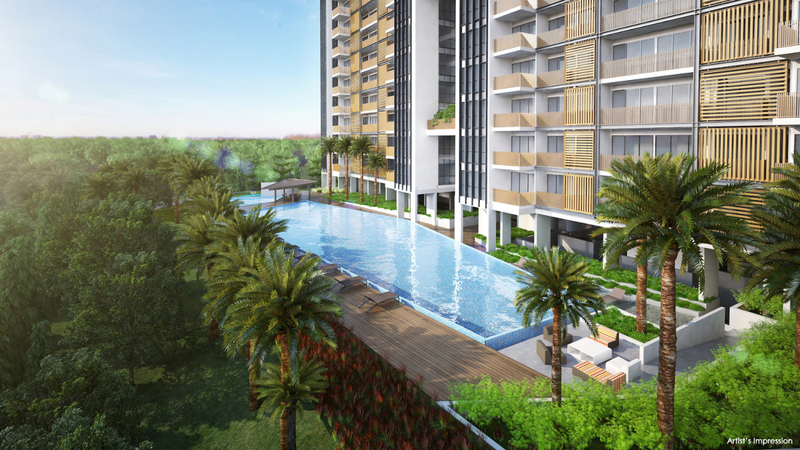 The site links to Aljunied MRT Station, 3 minutes walk away. See the Fact Sheet or location for related information.